#MTNSeasonOfSurprises. How to Use your #5KVOUCHERCODE From Jumia. Did you receive a 5kVoucher during this #MTNSeasonOfSurprises or are you expecting one? Follow these steps to use your voucher. 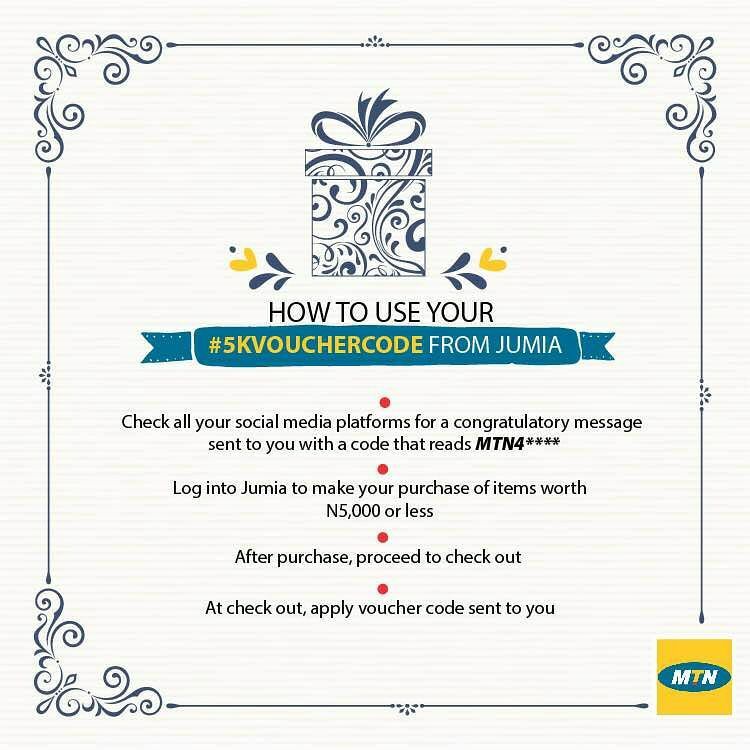 HOW TO USE YOUR #5KVOUCHER FROM JUMIA. 2. Login to Jumia to make your purchase of items worth N5000 or Less. 3. After Purchase proceed to Checkout. 4. At Checkout, Apply Voucher code sent to you. Note* more winners are currently being rewarded.we crave your patience and understanding.